I have previously reviewed the delights of ‘Middlemarch’ (see blogpost dated 1/1/17), which is generally regarded as the pinnacle of George Eliot’s literary achievements and undoubtedly it is a masterpiece. I also catapulted ‘Adam Bede’ onto my favourites shelf (see post dated 10/6/17) and so I came to ‘Silas Marner’, the author’s third novel (originally published in 1861) with high expectations and again, I was not disappointed. In truth, this book is another sublime tale by Eliot, with at its core a challenging moral conundrum, which has further bolstered my admiration of her work. Eliot has ‘form’ in conferring unflattering characteristics on wealthy scoundrels, counterbalancing a virtuous example of the poor and comparatively powerless, but the story of the ‘Weaver of Raveloe’ is far more than a simple exposition of right and wrong, good and bad. Rather, like the main character’s fine linen, it is an intricately woven piece of artisanship, which demonstrates the redeeming and noble capacity of good people to do the right thing, even in the absence of personal gain. Such egalitarian principles may not be the social norm’, but in the small communities described by Eliot, they do establish reputations and reinforce social standing. Silas Marner arrives at Raveloe chastened by a false accusation of theft in his pious, former community, who turned against him despite a lack of evidence. As a consequence, Marner moves away, turns inward and maintains only limited contact with his new neighbours, to sell his linens and buy food. By design, Marner’s becomes an isolated, frugal and reclusive life. Yet, even in the absence of contact with his peers, the central character discovers he cannot avoid the shaping of a local reputation, born of rumour and the imagination of villagers. The theft of his life’s savings, however, brings Marner to an even lower point in his life, from which his resilience will be ultimately tested. The parallel plotline, deftly created by the author, concerns the sons of the local Squire Cass, whose privileged, profligate lifestyle is diametrically opposed to that of Silas Marner and yet converge they must upon the introduction of a two year-old orphan, who becomes the pivotal character for the respective storylines. Disregarding local opinions, Marner takes responsibility for the child (under the existing ‘Poor Law’ this would otherwise have fallen on the parish) and here strong female characters come onto play. I’m especially fond of Dolly Winthrop, local matriarch, who befriends Marner and takes the ardent bachelor in hand, to support the child-rearing and steer him into the heart of the village. ‘Eppie’ as she is christened gives new life to Marner and he in turn selflessly dedicates himself to her. Only on the cusp of her adulthood are the ties of love tested by those of blood. A decision about whether to accept an opportunity for social elevation is a theme Eliot returns to in ‘Middlemarch’, written some ten years later and the author again mines a very fertile seam here, highlighting the apparently arbitrary nature class and of life’s chances. However, there are a number of underlying messages to be gleaned from this nineteenth century parable. Among them,‘life is what one makes of it’; 'it's never too late to change'; and ‘it takes a village to raise a child’. In any event, such masterful storytelling continues to resonate with our own time and great writing will always have an audience. Another for my favourites shelf. The passing of the one hundredth Remembrance Day since the end of the Great War 1914-18, last November, gave good reason (if it was needed) to revisit some of the written records of that gloomy period of European history. Often poignant, the poetry, letters and tragic lists of the fallen offer reminders, lest we forget, of the sacrifice of a generation. However, given the colossal loss of life, what sometimes appears absent from contemporary accounts is a view from the non-commissioned ranks, a ‘Tommy’s’ experience from the trenches of the front lines. 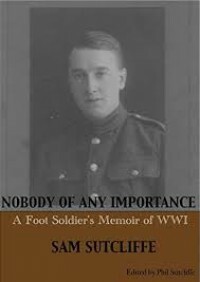 As such, this memoir by Cpl Sam Sutcliffe, collated/edited by his son Phillip, offers a telling insight into the chaos of conflict visited on so many and the mind-set of those so often cast as ‘cannon-fodder’. Even allowing for the retrospective writing of this lengthy book, the vivid descriptions created by the author and the accompanying endnotes, cross-referencing a wide range of confirmatory material, make this a sobering but compelling read. The title of the book gives an immediate flavour of the self-effacing humility of the author and yet he goes on to describe joining up aged just sixteen, with his older brother (Ted) and friends (in fact, Sam lied about his age, as the youngest recruit allowed was 19). The swell of public patriotic fervour in 1912 and the casual acceptance of the need to do ‘one’s duty’, in hindsight, seems naive. Moreover, the apparent absence of apprehension suggests a misunderstanding of the carnage of war. The phlegmatic acceptance of Sutcliffe’s parents to their young son’s decision also perhaps an echo of the national willingness to tolerate sacrifice. Though later, conscription became necessary and through his journey the author develops a certain cynicism about those who avoided service altogether and those who sought to distance themselves from the trenches at the front line, tempered only by the psychological breakdowns he witnessed there. Subsequently Sutcliffe’s tender age did confer a temporary reprieve. Still not eighteen, the author had already fought in the ill-fated Gallipoli campaign and the first battle of the Somme, rising to the rank of acting Sergeant, when he was plucked briefly to safety until 1917 (when he became nineteen) and could be returned to the western front, in time for the anticipated Spring offensive. Captured during that monumental effort by Germany to end the war, Sutcliffe relates his subsequent experience as a prisoner-of-war and an equally challenging personal struggle to just stay alive and survive the attendant risk of disease and privation. This book is an extraordinary account of a teenager’s experience of a brutal conflict that culminated in a vast body count. After Gallipoli (wherein having been evacuated his unit was returned to cover the withdrawal of the foremost positions), the author laments the decimation of his original battalion of volunteers from London, culled from a thousand men to around just two hundred. Indeed the scale of this loss appears to haunt Sutcliffe throughout his account and his perspective clearly changes regarding the veneer of national pride, which he sees laid bare amid such abject failure. This proved a curious novella, from a writer unfamiliar to me, with echoes of those black and white Ealing Studio movies, where the British cast spoke in plummy tones and the criminal classes were still referred to as ‘rascals’ and ‘scoundrels’. Less surprising when the reader realises that Henry Cecil is the pseudonym of Judge Henry Cecil Leon (born 1902), yet the humour coursing through this charming tale does make it satisfying, albeit in a rather nostalgic way. Cambridge-educated, Cecil was called to the bar in 1923 and post-World War II was appointed a County Court Judge in 1949. Still, it is unusual that such a pillar of the establishment should expose some of the potential absurdities of the law and how it might play out within the vagaries of ordinary lives. In this example, the reader is introduced to Mrs Harriet Hunt, who was successfully married to her husband (Graham) for twenty years, when without warning, he disappeared. That was seven years ago. Having experienced the predictable gamut of emotions, Harriet might have reasonably assumed Graham was dead, when he did not return home or make contact. However, the arrival of a mysterious cheque for £100 every month since, from a firm of solicitors, lent probability to her husband’s survival and increased the likelihood that he had in fact run off with another woman. Harriet continued to be perplexed by such a scenario, when she felt certain they had been happily married, but she was also hurt by the possibility that Graham might have 'pensioned her off' in this way. Still, in the light of the prevailing evidence she reluctantly accepts the need to settle the future and having been pursued assiduously by the couple’s former friend, the gentle George, seeks to petition the court for a divorce. Stage set and having sealed the legal argument with an agreement to go to bed with George later that evening to consummate their relationship (to be followed by supper), Harriet returns home to find Graham has also returned, just as suddenly as he departed. In his mild and comical approach to this story, Cecil almost imperceptibly weighs complex issues, such as the disparity between the moral and legal status of marriage, the expectations of men, women and society and the meaning of ‘love’. For the contemporary reader it might appear dated and yet I suspect, if one cares to settle down with a ‘whisky and a splash’, this is a funny, short, but welcome glimpse of a mythically halcyon era. Short but Sharply Provocative Masterpiece! 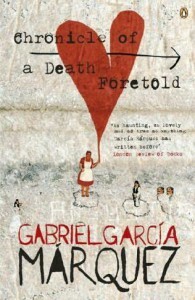 Gabriel Garcia Márquez was awarded the Nobel Prize for Literature in 1982, following “Chronicle of a Death Foretold”, which was published the year before. This short novella (122 pages) was generally lauded as a masterpiece and translated from the original Spanish, it is clearly a complex literary exploration of individual and collectively-held values and the moral standards underpinning them. Notwithstanding the proximity of ‘the church’ and the attendant moral authority, the most heinous crime is about to be perpetrated. The plot goes on to test the case for an ‘honour killing’, in undermining this most fundamental of commandments and the complicity of individuals and society in rationalizing the sacrifice of an ostensibly innocent man. In spite of the subsequent handwringing, the acceptance of the concept of dishonouring an individual, a family, a community, breathes life into a chain of reactions and responses, which culminate in a barbaric, unchecked thirst for revenge, on behalf of victims, apparently unable to withstand the expectation of social norms. And there are a series of ‘victims’ and consciences to be expiated. However, the ambiguities discovered through the author’s examination of the circumstances and subsequent reflections seventeen years later give credence to the possibility of fate, yet the certainty that the killing solved nothing and surely failed to salvage any sense of honour. This book is provocative and deliberately harrowing in its dissection of a community through the lens of a murder enquiry. Moreover, it questions our capacity for independence within a human hive. This slim volume was first published in 1960 and appears three quarters of the way down the lengthy list of Wodehouse novels featuring the inestimable Jeeves. In fact, in this episode the celebrated gentleman’s valet quickly departs for a holiday in Herne Bay, Kent and helps decide Bertie Wooster to accept a summons to his Aunt Dahlia’s ‘rural lair’. Ordinarily one of the highlights of the series is the interplay between the two main characters, however, with Jeeves absent for most of the tale, Bertie is without his customary foil, which at times feels like just half of a double act. The plot works though and the other characters aid the comic moments, but Bertie, unprotected by the attentive Jeeves, does feel somehow incomplete. While her husband (Uncle Tom) has gone away to schmooze a wealthy business partner and get an important deal over the line, Aunt Dahlia must host the other abandoned spouse (Mrs Cream) and her son (Wilbert), ensuring that nothing is done to jeopardise the deal from afar. Joining the group for the weekend at ‘Brinkley’ is Lady Wickham’s daughter (Roberta), whose reputation as a prankster precedes her; Aubrey Upjohn, former headmaster at Wooster’s preparatory school; and Upjohn’s stepdaughter (Phyllis). But for Jeeves absence, Bertie would have avoided such a toxic brew, but consoled by his journalist friend, ‘Kipper’ Herring and reminded that at least the party would enjoy the delights of Chef Anatole’s kitchen, he relents. Still, ahead of his departure, Bertie gets a call from a distraught Lady Wickham, who has discovered in ‘The Times’ the announcement of her daughter’s engagement to Bertie. Intriguingly this is also news to Bertie. Yet, since his former proposals of marriage to Bobby Wickham were so unceremoniously rejected, Bertie rightly deduces that a game is afoot. As usual, the rather pleasant-but-dim Bertie is cast as an important cog in the machinations of others, in which he is destined to be the weak link. The final outcome, of course, being the culmination of unintended consequences and a belated intervention by Jeeves. 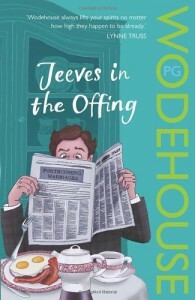 Poking fun at the aristocratic classes, masterfully manipulated by their intellectual superior in Jeeves, remains a rich seam, well mined by Wodehouse. However, it is the interplay between beloved characters, the past era of gentry and intricate plotting, which the author satirizes so mercilessly. For the reader, this familiar though ridiculous portrayal of a bygone age remains a glorious example of English farce. 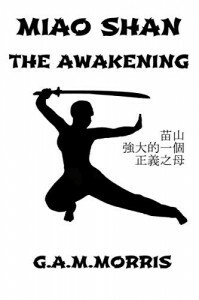 Ahead of the publishing of “Mia Shan, The Awakening” (15/1/19), I was given the opportunity for early access, in return for an honest review. The book is not easy to pigeonhole, bearing traits of various fantasy subgenres – historical, dark, paranormal and urban. However, I suspect the prominence of Chinese martial arts and the attendant violence is likely to have a greater bearing on the readership, than some notional category. I am not a fantasy buff by any means, but neither does the reader need to be, to engage with this interesting saga, which opens in Hong Kong at the end of the nineteenth century. The narrative follows the development and exploits of Chow Lei, aged ten at the outset, who is orphaned and raised by her grandmother (PoPo), above the family’s thriving noodle shop. The family matriarch worships Guan Yin, the bodhisattva of compassion and mercy and is relying on the venerated idol to keep her granddaughter safe, but though Lei discovers an exceptional ability to master martial arts, compassion is not one of her strengths. Still, in spite of her PoPo’s reticence, Lei is sent to the Shaolin Temple at Seng Shan to be admitted as a novice nun, to continue her training. Now re-named Miao Shan and equipped to address injustice head-on, Lei returns to her city, a mighty sword-carrying bulwark against powerful criminal evil-doers. It’s a familiar formula, but on the whole, the author has created an entertaining novel, which has scope for sequels. What it lacks in characterization, it certainly makes up for in the action department and for fans of kung fu that doubtless helps the readers’ appreciation. A third novel featuring detective Amos Decker and the FBI team, of which he is a member, is on the up. After their recent success (see “The Last Mile”), Special Agent Bogart’s people are on the move to Washington DC, to bring their skills to bear on some criminal action in the capital. Decker does not welcome the disruption. But, when a man walking in front of him by the Hoover Building shoots an apparently random woman and then himself, these are not the kind of events Decker can shrug off. Cue a convoluted investigation with more twists and turns than an Olympic diver! 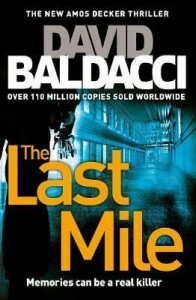 In common with the best thriller writers, Baldacci deftly maintains an almost breathless pace at times. However, the presence of familiar characters from the earlier novels in the trilogy and their deepening relationships with the key protagonist are also interesting. Decker remains a fascinating anti-hero and something of an enigma. The value of his prodigious memory (legacy of a head injury sustained in his lone NFL appearance) is well understood by his colleagues, but increasingly they also grasp the significant cost to Decker’s social functioning. Despite their efforts, at times, Decker feels like a stranger in his own body, unable to revert to the personality that he was, nor resist dwelling on the devastating loss of his family (see “Memory Man”). Yet, his formidable physical and mental presence are used to good effect in this story, as governmental inter-agency pressures and international intrigues simmer, threatening to boil over into lethal destruction at every turn. Though compelling, Decker’s insatiable, naive drive to find ‘the truth’ seems bound to be manipulated and in this book Alex Jamison (former journalist) is more clearly seen as his self-appointed protector. Yet, the reader knows Decker is incapable of reciprocating her devotion, at least in any romantic sense. 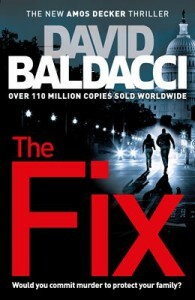 Whilst changing the team’s location has arguably provided the author with a broader canvas, the plot-line in “The Fix” is a more traditional ‘whodunit’ and consequently felt ‘narrower’ and more predictable than the preceding novels. 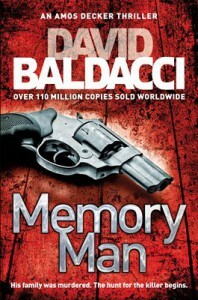 That said, Baldacci has left plenty of scope to develop the character of Amos Decker and his colleagues further. There are also enough loose ends remaining should the author be minded to move beyond the trilogy, which seems the preferred ‘boxset’ of choice currently. All three books weigh in at around six hundred pages, but for me, this final(?) installment is possibly the lightest of the bunch. Worth a read, but lacking the novelty and impact of books one and two. This sequel to the novel “Memory Man” continues the story of quirky detective Amos Decker, following his secondment to a newly-formed FBI unit. After the trauma of the original thriller, in which the main character sought to avenge the killing of his family, a move to Washington offers the prospect of a fresh start. Albeit his experience of hyperthymesia (excessive memory/perfect recall) guarantees Decker’s tragic memories can never fade, even with time, he realizes the need to move on. Still, though his prodigious ‘gift’ continues to enable Decker to process information and formulate hypotheses, in this volume the reader gets a clearer insight into the social consequences of Decker’s acquired brain injury. Whilst his cerebral functioning is clearly an asset, Decker has paid the price of an emotional deficit, which impedes his capacity to connect with colleagues and foster attachments. This makes teamwork a challenge, both for Decker, who is partially aware that he misses social cues and for those around him, who need to create bespoke relationships if they are to orchestrate their efforts. In that sense, Decker is very much an ‘island’ and it is key characters from the first book who seek to bridge his isolation, alongside a former football star on death row, who looks set to suffer the ultimate injustice. Special Agent Ross Bogart has staked his reputation on making a unique FBI unit deliver results, but with only one other agent in the group, the task is at times like trying to herd cats, in particular trying to marshal Decker’s maverick tendencies. In his former police career Decker had a partner, but he now struggles with close relationships. Yet, journalist Alex Jamison knows that she has been offered a spot on the team because of her affinity with Decker. He responds to her and Jamison in turn is protective and encouraging towards Decker, reaching out rather than treating him as a curiosity. I was recently introduced to the work of David Baldacci by my Dad, who has enthusiastically devoured the Amos Decker thrillers in quick succession. This first in the series introduces the gruff and unlikely hero - ex NFL player and police detective, decimated and made destitute by the collapse of his private world some fifteen months before. However, what makes the rather tragic character of Decker so unusual and compelling is his experience of ‘hyperthymesia’ (excessive autobiographical memory/perfect recall). On the one hand, it does seem like a convenient way of giving ‘superpower’ to a detective, but the narrative actually describes the burden equally as a curse, for the man unable to erase some haunting memories. Still suffering under the weight of his loss, Decker is barely functioning, but is drawn back into his painful past when a man hands himself in and confesses to the murder of Decker’s family. And so the blue touch paper is lit on an explosive tale of murder, intrigue and a battle of wits to prevent further killing and seek justice for the growing number of victims. Despite being a brilliant detective, Amos Decker is an emotional shell, no longer able to process as he once did. Yet, as well as a triumph of complex plotting, the author’s skill lies in his ability to make the reader care about how it turns out for the flawed main character. Former police partner, pushy journo, FBI special agent are all excellent supporting characters and each realizes Decker is the key to the case and prop him up along the way, recognizing his vulnerability. It is a masterful example of the genre. Perhaps, the fact that, like my Dad, the final page had me seeking out the title of the sequel is testament to this book’s impact as a ‘page-turner’. Quite dark, the rattling pace is maintained, despite the convoluted twists and turns and in an interesting symmetry the criminals are as unusual as the pursuer. Well worth a read. My 100th review and I’ve been mulling this over for a few weeks. I’m an admirer of indy author, Jane Davis’ work, so much so that I bought my Kindle copy in advance and looked forward to the launch. The author’s customary style is again deployed to good effect and the narrative is engaging and draws the reader into the respective experiences and feelings of the characters, but I think herein lies my difficulty and I stress it is my problem. The story-lines centre on the aftermath of a major incident at a London underground station (St. Boltoph and Old Billingsgate), in which fifty nine people lost their lives. “For over thirteen years the search for truth – for the undoing of injustice – has eaten up everything. Marriage, friendships, family, health, career, finances.” Such a devastating, albeit fictional, loss of life is clearly fertile territory to examine the sense of loss, anger and despair of those bereaved family and friends left to mourn and the aching instinct for answers (‘why’? ), accountability and the public vilifying of the blameworthy. Unfortunately, this fictional account of a disaster, in which so many perished, has coincided with such an array of actual disasters, still etched in the public consciousness and pored over in the media that we are, sadly perhaps, all too familiar with the post disaster landscape (Grenfell fire; Manchester bombing; Hillsborough; 7/7; 9/11). I’m not suggesting that a novel is an inappropriate platform for exploring the human response to sudden catastrophic loss and the enduring impact that ripples outward. It just seems to me to be an emotional devastation, which may lack appeal if the reader is seeking ‘entertainment’, or an escape from ‘reality’. Though here I should probably record a ‘conflict of interests’, in that having trained as a crisis support worker for such eventualities, it is difficult not to read this book through a professional lens. 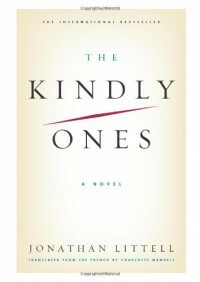 In any event, this ambitious book is very well written and the respective discoveries and cathartic journeys of the key bereaved characters are also cleverly offset by the experience of Eric, a law student who comes without the emotional baggage of those directly affected, but nonetheless is grounded in his own life’s challenges. Naturally the experiences of surviving partners, parents, siblings, and friends will be different and Davis handles this diversity well via the delicate parallel plotlines. In some senses the one ‘unknown victim’ is the saddest of all. However, while the toing and froing, pre and post- incident and across the multiple perspectives does confer a certain fragmentation within the storytelling, the narrative is successfully woven to a satisfactory conclusion. On balance, I think Jane Davis pitches the tone about right. Not so bleak as to trigger compassion fatigue, but not so sanitized as to run the risk of appearing implausible. Fortunately perhaps, most of us can overlook the licence granted to the fiction writer, to fashion an interesting account and Davis has certainly made good on a tricky theme. For me, it’s proved a bit too much like a busman’s holiday, but I acknowledge I don’t have a neutral perspective and shall ponder other reviews to get a more balanced view. That the author should tread here at all does her much credit. This is the fourth book by Ian McEwan that I’ve reviewed and is the furthest back in his catalogue (1997). Still, the latest read has reaffirmed my belief that McEwan is extraordinarily gifted and a colossus among contemporary British writers. In particular, he has a knack for unpacking a short period, even a moment, in such exquisitely interesting detail that for the reader it can be like savouring a fine wine, with all the complex flavours and tannins schmoozing the palate. It is not only the description of the situation (beguiling enough), or the intricate meshing of fascinating characters drawn together around a “pinprick on the time map”, but the delicate craftsmanship of the storytelling, the wondrous use of language and turns of phrase, which at times appear almost poetic. “A beginning is an artifice, and what recommends one over another is how much sense it makes of what follows.” Certainly, in ‘Enduring Love’ the start-point was crucial, an immediate, dramatic incident involving an out-of-control hot air balloon and the individuals arbitrarily drawn together in the aftermath. Indeed, rather like completing a jigsaw, having first assembled the fragments of this centrepiece, the author carefully positions the subsequent pieces, until finally the reader can stand back and view the whole picture. And what a delightful puzzle it was. Part psychological thriller, the tension was masterfully managed and yet at times the moving descriptions of loss (an attendant theme) were poignant and the realization of life’s susceptibility to the vagaries of random events gave the book a philosophical undertone. Key couple, Joe and Clarissa, are intelligent but different and their relationship built up over seven years is tested in the present, along with the foundations laid in the past. Can the bond linking them together survive the strain placed on each partner and the doubts buffeting their belief and trust in each other? The third character in an unusual love triangle is Jed Parry. Compulsive and unpredictably obsessive, he is also a victim of circumstance, but with an unnerving capacity to wreak emotional havoc, including with the reader! Again this book is quite short, but don’t let that fool you, the journey is intense and breathless and my overall impression was of a nugget of a novel, which will nestle comfortably on my shelf of favourites. A cleverly titled, thoroughly absorbing read. I particularly enjoy historical novels that provide a window into an unfamiliar period, place, culture, or incident – a ‘well I didn’t know that’ factor. It’s not absolutely necessary, but it does lend a mild frisson of learning and interest to a good story. 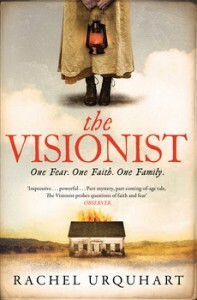 In that sense Rachel Urquhart’s “The Visionist” was off to a good start, since I’d never come across the ‘Shaker’ religious movement and nineteenth century Massachusetts is also a blind spot for me. Helpfully, in the prologue, the author orientates the reader to the fundamentals of the ‘shaking Quakers’ beliefs – labour well, worship, confess and shun all carnal desire – and introduces the ‘City of Hope’, wherein a community lives out these principles, cocooned away from the outside world. It is possible for sinners to seek sanctuary there, but the personal challenges are immense and for those ‘backsliders’ unable to sustain the necessary commitment, to be cast back into the unholy outside world may be the ultimate rejection. The story is narrated by three voices. Polly Kimball– a tormented, teenage soul and victim of prolonged and systematic abuse at the hands of her father, until she sets fire to the family farmhouse and escapes with her mother and brother, only to find herself further betrayed and indentured to the Shakers; Simon Pryor – the fire inspector, required to investigate the reason for the fire and thereby settle the ownership of the abandoned property; and Sister Charity – resident of the City of Hope and lifelong believer, but recently shunned by the community due to a strange blemish on her skin, which is purported to be the work of the devil. 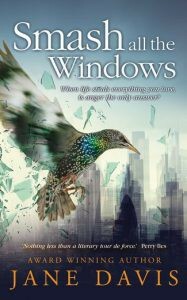 Through these characters, the author both recounts and explains the different perspectives and builds the tension between the world inhabited by the believers and the ‘outside’. However, what becomes clear is the absence of immunity from sin and that no one has a monopoly on possession of a sound moral compass. There are good and less good people in each community and it is not the stringency of the attendant ‘rules’ that necessarily determine social ‘success’. Indeed, the book suggests it is about enough people doing the ‘right’ thing, which can be an intangible instinct derived from a sense of humanity, rather than what the rules direct. In part, this ‘moral maze’ created by the author helped to further enhance my fascination, but the characters are also sympathetically drawn and the attention to historic detail welcome. For example, the inclusion of a pauper auction (effectively the legal enslavement of the poor) was a sobering moment, but also added a sense of authenticity, which I liked. To create such a readable story without recourse to an explicitly romantic plotline was also in keeping with the book, but perhaps hints at the confidence and courage of the writer. There is no attempt to sanitize the plot or overly gild the backdrop here and this approach gives the book a utilitarian edge, but for all that, a compelling read and Rachel Urquhart may be one to look out for in future. The books comprising the ‘Millennium Trilogy’ have achieved, albeit posthumously, almost legendary status for Stieg Larsson. Having previously delivered the manuscripts to his Swedish publisher, tragically the author died of a heart attack in 2004, aged just 50 and consequently he never witnessed the international plaudits, which were eventually to greet this exceptional work. I read the series a number of years ago, but I wanted to revisit them before reviewing and I was curious to see if my original impressions remained. Clearly, international sales of the books, reported to be of the order of 80 million copies worldwide, is quite a phenomenon. But what is it that continues to strike such a chord with the readers of popular crime fiction? Powerful yet shocking, violent yet touching, this novel is at its heart a thriller, which contrasts the most depraved, base examples of humanity with the most outwardly unassuming characters. Yet, in investigative journalist Mikael Blomkvist and security analyst Lisbeth Salander, Larsson has created main characters who are clearly flawed, but retain a complexity and depth, which is truly absorbing, thrown together as they are, to combat low points in their respective lives and the situational challenges that follow. At the opening of the book, Blomkvist has just been found guilty of libel against financier, Hans-Erik Wennerstrȍm and is faced with three months in prison as well as a sizeable fine. Salander, a very different kind of investigator, is commissioned by her sometime employer to generate a report on Blomkvist and is intrigued that for such a careful reporter, he appears not to have contested the case. The author cleverly uses the report to inform the reader about Blomkvist and the thoughts of Salander’s boss at Milton Security (CEO, Dragan Armansky) to sketch out an early impression of her. Both are mavericks, with quite contrasting personalities, but as the plot unfolds they are bound inextricably together. 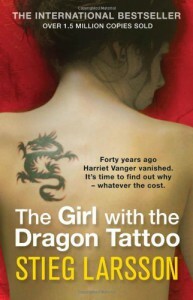 Salander has experienced a troubled young life and might be considered a victim, but for her capacity for violent retribution. Brilliant, but emotionally cold, Salander lacks the capacity for empathy, but is drawn towards Blomkvist’s open warmth, humour and laid back attitude. What they share is an insatiable appetite for answers and the need for justice to be served, though Salander is quite bemused by Blomkvist’s attachment to the rule of law. The ‘Millennium’ of the title is a magazine and Blomkvist’s enforced sabbatical enables him to take up a freelance assignment, for ex-industrialist Henrik Vanger. Ostensibly tasked with writing a biography of the Vanger family, Henrik though is obsessed with identifying the murderer of his great niece and favourite (Harriet Vanger) and persuades Blomkvist to mount an investigation for which he is prepared to pay handsomely and on completion, the prospect of some useful information about Blomkvist’s nemesis - Wennerstrȍm. The investigation centre’s on events which took place forty years earlier on the island of Hedestad, owned by the Vanger family and where generations continue to live in splendid isolation. In that sense there are echoes of an Agatha Christie whodunit, with a limited cast of suspects, but getting to the ‘how’ and ‘why’ is deliciously convoluted. Moreover, the nature of the comeuppance doled out to a series of villains is supremely satisfying. Curiously this first book in the trilogy introduces the key protagonists and can stand alone as a novel, with a discrete storyline. Books 2 and 3 feels like a further, longer story, dissected into two just to make the volumes manageable, but developing the characters in all their dysfunctional glory. In any event, ‘The Girl with the Dragon Tattoo’ remains a ground-breaking book, which helped herald the contemporary genre of Nordic noir and propel it into the spotlight of popular literary culture. For me, it is understandably vaunted as a ‘modern classic’, not to everyone’s taste, but quite a ride. I haven’t tackled Thomas Hardy since my high school syllabus, but what a treat I had been denying myself. Various maxims spring to mind from this book (‘you reap what you sow’; ‘no man is an island’; ‘what goes up…’) emerging from the chronicled life of Michael Henchard. 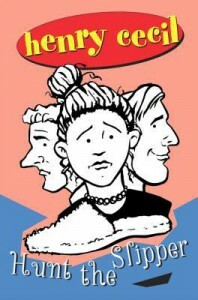 From very humble beginnings as a twenty one year-old hay-trusser, the main character is hard to like. He is deeply flawed on a number of levels and yet it is surprisingly fascinating to bear witness to the harsh fate which inexorably catches up with him. 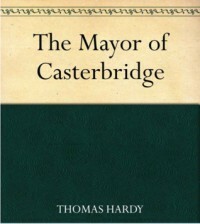 As early as the first chapter, Hardy deliberately seeks to discomfort the reader, when a drunken Henchard sells his wife (Susan) and newborn child (Elizabeth-Jane) for five guineas. Notwithstanding his subsequent sense of shame and self-imposed repentance in the sober light of day, this repugnant act haunts his private life and has the attendant potential to also scupper his subsequently crafted image as the first citizen of Casterbridge. Fast forward eighteen years and the reappearance of Susan with their now adult daughter offers the chance to make amends, but the intervening years have generated an inevitable trail of complications and though circumstances have changed, Henchard’s tempestuous nature has not. Yet, it is the tension between the social norms of English society at the time and Henchard’s earthy country perspective which is a constant source of friction. The mayor has risen to the gentrified classes a ‘self-made’ man, to be partially shackled by upper class expectations. In some ways Henchard is courageous, proud and willing to withstand public opprobrium, but he is also ruthless, manipulative and selfish, a powerful man used to getting his way (undoubtedly another key adage of the story is that ‘with power comes responsibility’). In any event, this book is a beautifully written, unsentimental fiction, which transports the reader to a pre-industrial Wessex, by no means a bucolic idyll, but rather a class-ridden, male-dominated site of incessant struggle. Nevertheless, the characters are masterfully constructed and Hardy manages to marshal the reader’s emotions from outrage and anger through to triumph and pity, as the label of ‘victim’ seems to alight, at different times, across the cast of characters. A thoroughly absorbing read. In an overdue exercise in clearing up some flotsam on my shelf, I have taken the unprecedented step of declaring this book a 'DNF' - 'did not finish' and moreover have no intention of finishing...ever! I am not easily discouraged as a rule, but I made it to page 242 (about 25% in) and it struck me as such a dispiriting book that I've decided to cut my losses. Life is after all too short. The narrator of the story, Dr Max Aue is a former SS Intelligence Officer and claims he "never asked to become a murderer." Yet, his proclivity for the function of mass killer leaves the reader with no understanding or empathy for the miserable husk of a man that he becomes, still less for the mindless atrocities in which he was complicit. Indeed, I leave the book rather disappointed that this wretched character goes on to survive the war. The sleeve notes point out that the book has won literary accolades and I readily acknowledge that Jonathan Littell writes well, but the content is not for me. The notes also add that this is a book, 'to which no one can be indifferent' and that too may be true. Unfortunately I disliked it so intensely that it has the distinction of being my first unread shelf occupant. It has also been compared to 'War and Peace', though I am confident that Tolstoy's masterpiece will not get the same response (it's added to my tbr list, just to be sure). Of course it is eminently possible that I am mistaken, but I'm content with this being 'one that got away'. My copy of this novel is an edition printed in 1964 for ‘The Book Club’ and costing 16s. 0d. 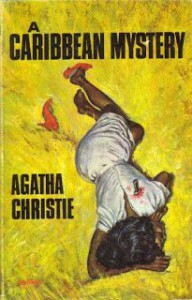 Unsurprising perhaps that ‘A Caribbean Mystery’ has the feel of a bygone era, when colonialism, feminism, racism, sexual orientation and the class system were clearly viewed quite differently. Indeed, it might be harsh to criticize the author for expressing attitudes prevalent at the time, but while Agatha Christie’s admirers are legion, this book does feel dated by the absence of contemporary enlightenment. For example, the suggestion by a key character that his attractive wife can expect the unrequited attention of other men and “has to pass things off with a laugh and a shrug” might not be so trivialized today! Still less the description by Miss Marple’s nephew (Raymond) of his “queer” friend, who can be relied upon to keep his aunt's St. Mary Mead cottage spick and span in her absence! But, if the reader can tolerate the glut of political incorrectness and blatant prejudices, the cast of characters is very familiar – retired military man; clergyman and sister; wealthy business tycoon and retainers; couples (not quite as they seem); medical Dr; and servants. The setting is the Golden Palm Hotel on the island of St Honoré, where Raymond has sent his aunt to recover from a winter bout of pneumonia. Intriguingly, this is the only foreign adventure undertaken by the redoubtable Miss Marple, but the hotel with its expats and imperialist pretensions is an enjoyable proxy for an English country home. Albeit, Miss Marple finds her surroundings rather boring, until retired Major Palgrave (he of the drinker's purple face and a glass eye) invites her to see the photograph of a murderer. Amid clicking knitting needles Miss Marple quietly marshals the facts of the murders that follow and stereotypical fellow residents, culminating in a gently satisfying resolution. I particularly enjoyed the alliance with wealthy curmudgeon, Mr Rafiel, who puts in a re-appearance in the 1971 novel, "Nemesis". No doubt the quaintness of Christie's story lines is part of the enduring appeal, but in this example, the genteel behaviour of the characters cannot disguise the attendant challenges for the modern reader.